Be the first to share your favorite memory, photo or story of Ruby. This memorial page is dedicated for family, friends and future generations to celebrate the life of their loved one. Ruby Faye Oberweather of Lee' Summit, Missouri was born September 9, 1920 near Blairstown, Missouri the daughter of Louis Houston and Della Pearl (Elliott) Wood. She departed this life on Friday, January 25, 2019 at Wilshire at Lakewood, Lee' Summit surrounded by love and family at the age of 98 years, 4 months and 16 days. On December 24, 1941 Ruby was united in marriage to Clifton Henry Oberweather Jr. in Kansas City, Missouri. Ruby was a homemaker and later was employed as a library clerk for the Lee's Summit, Missouri School District from 1966 until her retirement in 1982. She was a member of the Lee's Summit Christian Church. Ruby had lived in Garden City, Missouri before moving to Lee's Summit. Besides her parents, Ruby was preceded in death by her husband, Clifton, a brother, Leonard Wood; three sisters, Ruth Coy, Rose Anderson and Opal Brown. 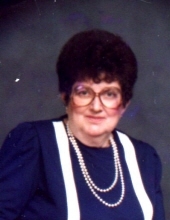 Ruby is survived by her son, Harvey Oberweather (Sandy), Harrisonville, Missouri; a daughter, Linda Rodenberg (Terry), Lee's Summit, Missouri; four grandchildren, Jason Oberweather, Julie Smith, Sheena Marx and Whitney McCracken; eight great-grandchildren; Lucas, Lana, Raegan, Makinley, Tanner, Addison, Molly and Eva; other relatives and a host of friends. Graveside services were held Wednesday, January 30, 2019 at the Garden City Cemetery, Garden City, Missouri. To plant a tree in memory of Ruby Faye Oberweather, please visit our Tribute Store. "Email Address" would like to share the life celebration of Ruby Faye Oberweather. Click on the "link" to go to share a favorite memory or leave a condolence message for the family.